Iran's Supreme Leader Ayatollah Ali Khamenei speaks at a meeting with a group of Revolutionary Guards and their families, in Tehran, Iran, on April 9, 2019. 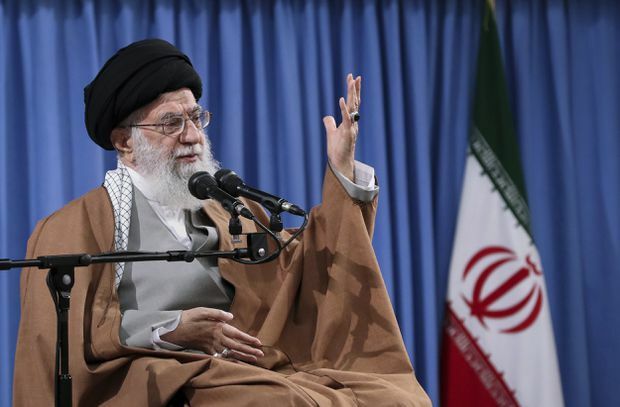 Iranian Supreme Leader Ayatollah Ali Khamenei said the United States had made “a vicious move” in designating the Revolutionary Guards as a foreign terrorist organization, and Tehran vowed to take action against U.S. forces in the region. U.S. President Donald Trump’s decision on Monday is likely to raise tensions in the Middle East. “This U.S. move was quite laughable since the Revolutionary Guards are in people’s hearts...The Revolutionary Guards will increase their defensive and offensive capabilities in the coming year,” Mohammad Ali Jafari was quoted as saying by the state broadcaster. The Iranian Armed Forces’ general staff, the country’s most senior military body which also oversees the IRGC said it would “use all its means to fight” against CENTCOM, and a Guards commander on Tuesday warned the U.S. Navy to keep its distance. “Since last year, we have acquired the kind of missiles that you cannot even imagine,” Rouhani said, referring to Iran’s determination to continue expanding the missile program despite mounting U.S. pressure to curb it.